By Current Water Technologies Inc. (CWTI) based in Guelph, ONTARIO (CANADA). Replacement membrane for K2 Drinking Water Filter. Semi-permeable membrane. Removes nitrates, fluoride and metals including lead. Cartridge for use with K2 drinking water filter only. AWI designs, builds and installs complete, process-specific granular media filtration systems for municipal and industrial applications. Types of systems include: Open Top Gravity Filtration Systems, Vertical Pressure Filtration Systems, Horizontal Pressure Filtration Systems. 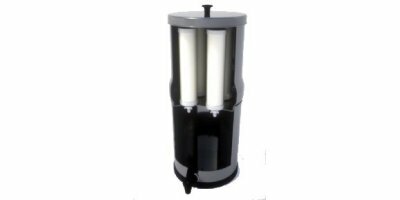 Replacement membrane for K5 Drinking Water Filter. Semi-permeable membrane. Removes nitrates, fluoride and metals including lead. Cartridge for use with K5 drinking water filter only. 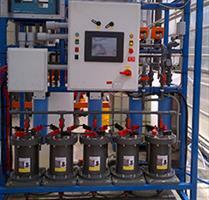 By Shivam Water Treaters Pvt. Ltd. based in Ahmedabad, INDIA. Fluoride refrigerator filter removes up to 90 percent of the fluoride as well as 99.9 percent of the chlorine, heavy metals, pesticides and more. 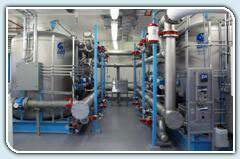 Has a 1,500 gallon capacity, or 9 to 12 month life based on 1 ppm fluoride and 1 ppm chlorine. By The Water Exchange based in West Bloomfield, MICHIGAN (USA).